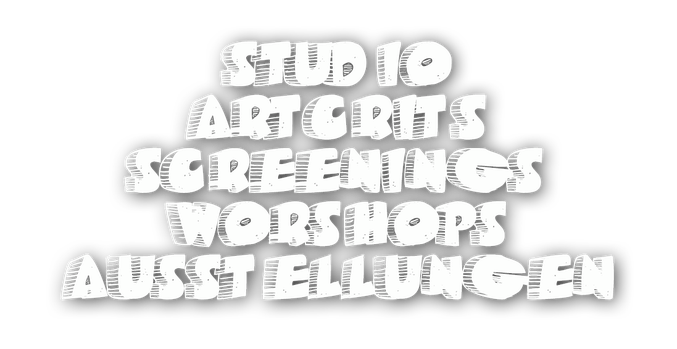 Who Shot The World - Lecture by Iulian Moise - opencaves Webseite! 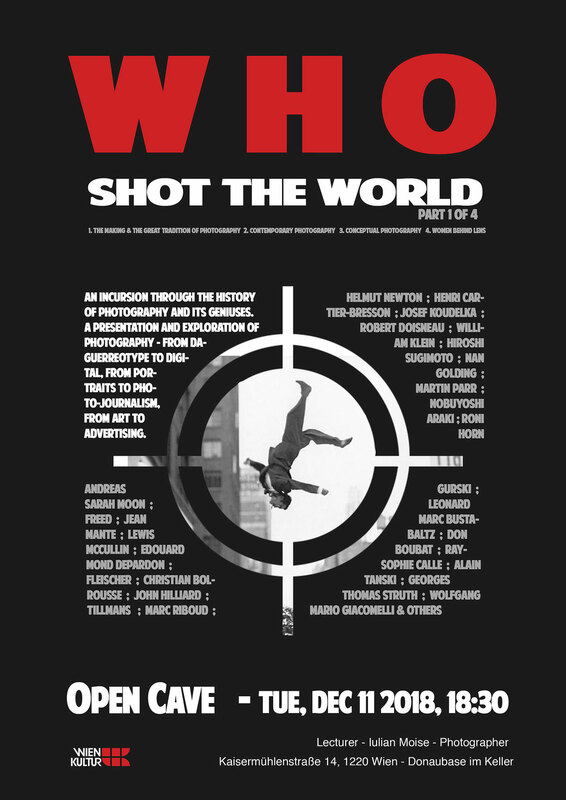 The series of lectures „Who shot the world“ is aimed to bring into attention the geniuses of photography and their remarkable works. The series comprise four parts: 1. The making off & the great tradition of photography, 2. Contemporary photography, 3. Conceptual photography and 4. Women behind the lens. This final part is dedicated to women photographers and their contribution to photography. The lectures are intended to be informal and free-discussions are welcomed. The lecturer, Julian Moise, is a photographer based in Vienna and Guest Associate Professor of visual arts in Shanghai JianQiao University and Shanghai Institute of Visual Art. And after the performance there will be a short presentation about Michael bachhofer´s work about structures and with fuzzy cognitive mapping as an artistic method.